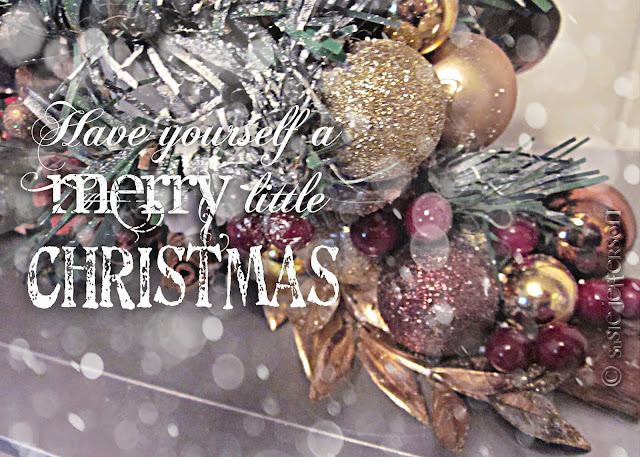 Here's a digital Christmas card I've made from one of my photos of my Christmas Log decoration. Do go ahead and to download and print off, if you feel inclined. Right click to bring up to full size, left click to copy to your computer. Enjoy! 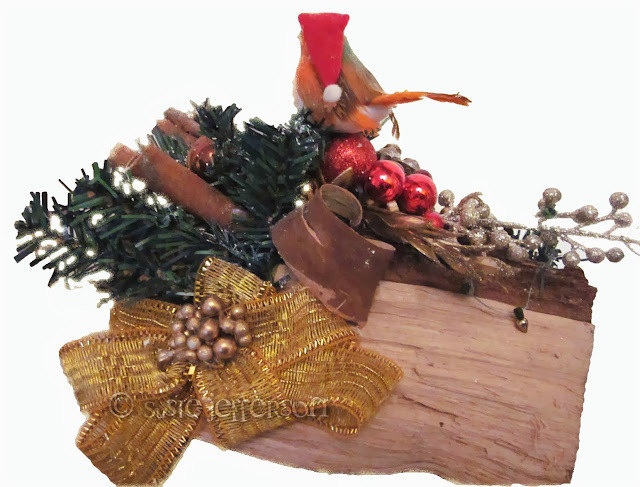 Christmas Log and a couple of prezzies on top of the DVD player. When making a table decoration, the back view of the piece is as important as the front, as it's going to be seen from all angles.